A loan of $2,625 helped to buy a pick up truck to be used for delivering tires to her customers. 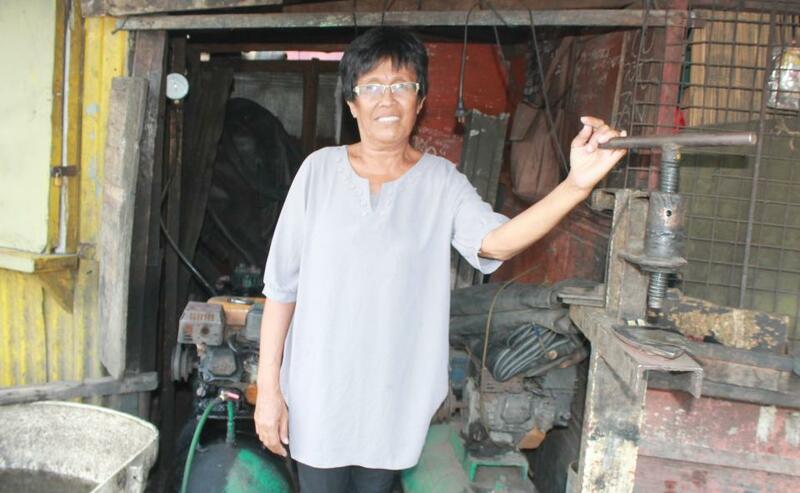 Elizabeth is 61 years old with 6 children and a hard working entrepreneur. Elizabeth together with her husband they operate their vulcanizing shop and tire shop. She used to work as the caretaker of the shop and her husband its worker but due to their diligence and perseverance, the owner decided to sell it to them through installment until they fully paid the shop. Their vulcanizing and tire shop has been their bread and butter, it helps a lot with their everyday expenses and the education of her children. Today, Elizabeth has able to employ 2 helpers in their community to help her husband with selling tires and repair for cargo truck which is abundant in their community because of the location of shipping companies. Elizabeth and her husband operates the shop to be able to help with their own expenses and support the school expenses of her youngest child in college. Elizabeth is requesting a loan amounting to PhP 120,000 to buy a pick up truck to be used in delivering tires for her customers. The loan will enable her to increase her income by delivering her products to her customers with the help of the new pick up truck. Elizabeth is hoping to expand her business to help more with her family and also to help her community. This loan is part of SEED's efforts to support social enterprises that benefit a larger community. These loans go to entrepreneurs whose businesses are addressing the triple bottom lines in terms of economic viability, promotion of social equity and ecological soundness. Specifically, these businesses should contribute to employment generation to other marginalized individuals, mostly utilize local resources to improve the local economies and promote sound waste management practices. By supporting this loan you backing businesses with a social mission. Kiva supports SEED's goal of reaching underserved populations with financial services. Through crowd funding on Kiva, SEED will be able to expand its offerings of loans, which will reach another level of borrower who currently isn't served with existing available loan options.